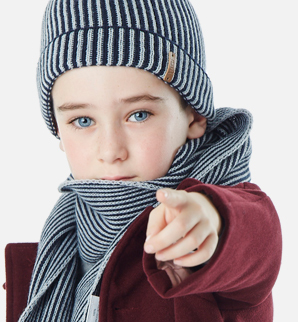 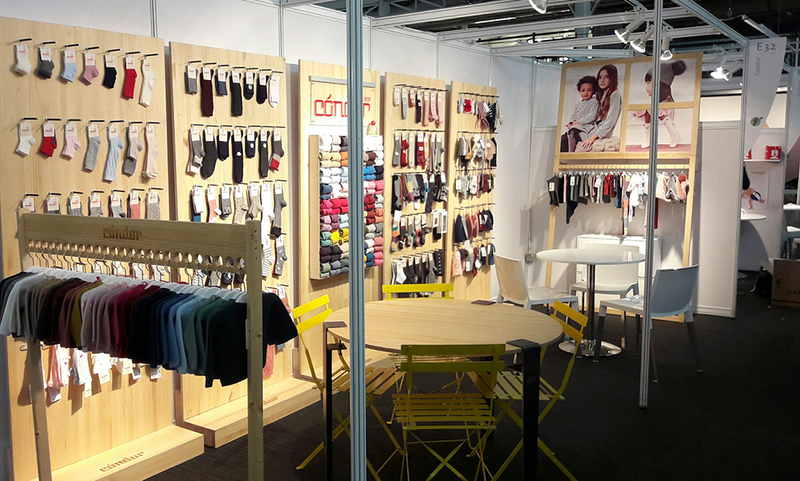 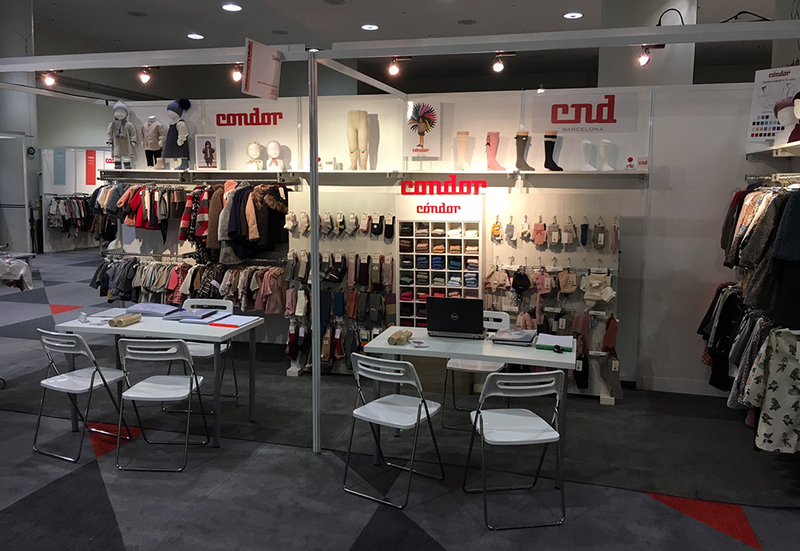 PARIS (28-30 JANUARY 2017).- Cóndor has exhibited at the French fair par excellence of children’s fashion, Playtime Paris. 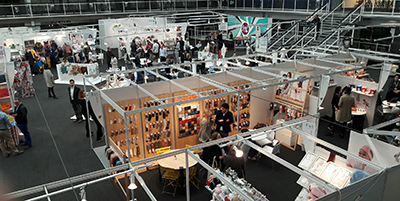 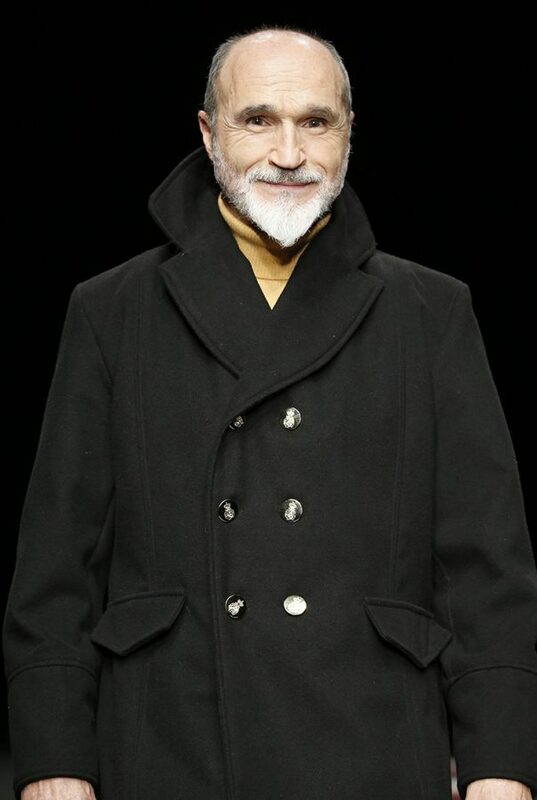 With more than 500 national and international brands joining this trade show, buyers have become full information about trends for next FW17. 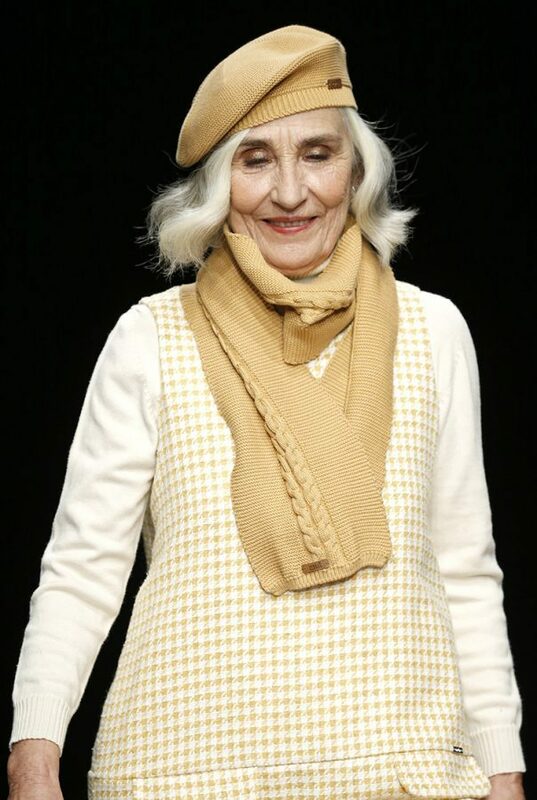 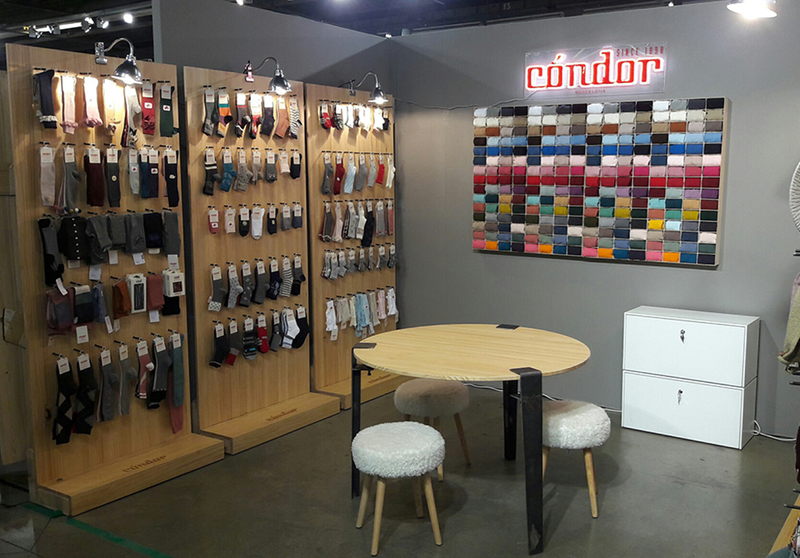 In this edition, Cóndor has showed for the first time the clothing colletion from newborn to the age of 12, so that two stands were occupied: one for the hosiery and the other for the clothing collection. 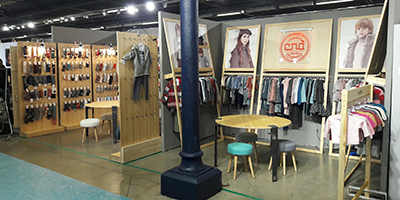 LONDON (29-30 JANUARY 2017).- Bubble is a Premium children’s trade show in London that has become an inevitable appointment for anyone related to kid’s fashion who wants to have a presence in the UK. 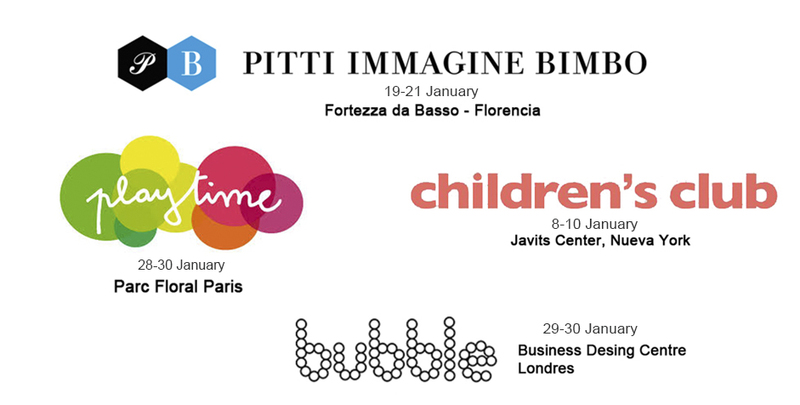 FLORENCIA (19-21 JANUARY 2017).- Pitti Bimbo, the most important children’s trade show, is the place chosen by the brand to present in Europe the new collection of Autumn/Winter 2017/18. 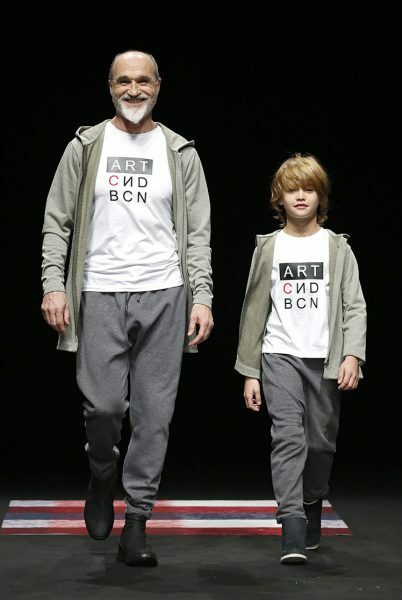 With the title “Art Gallery“, in this occasion the brand has been inspired by the Art. 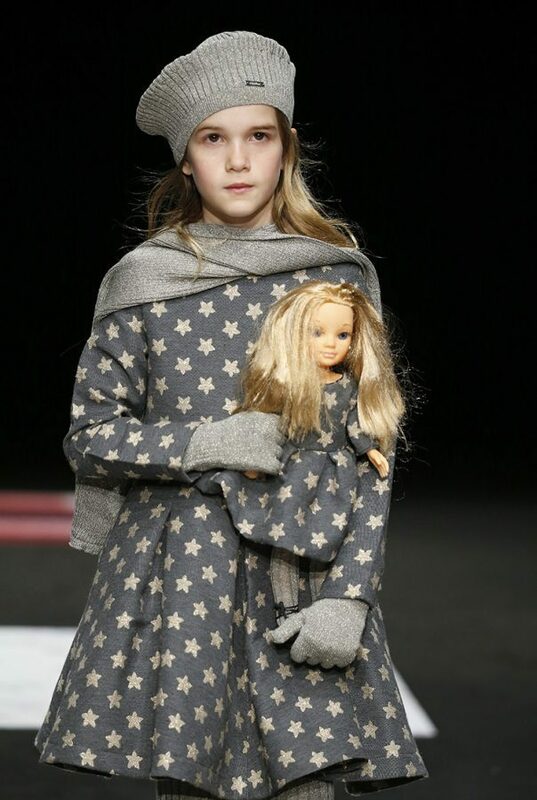 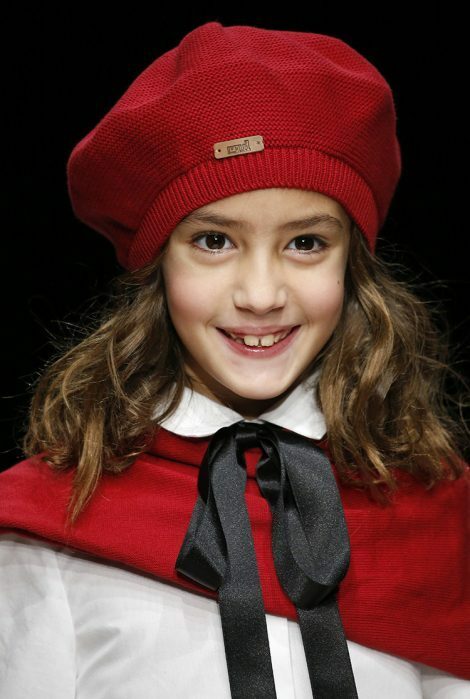 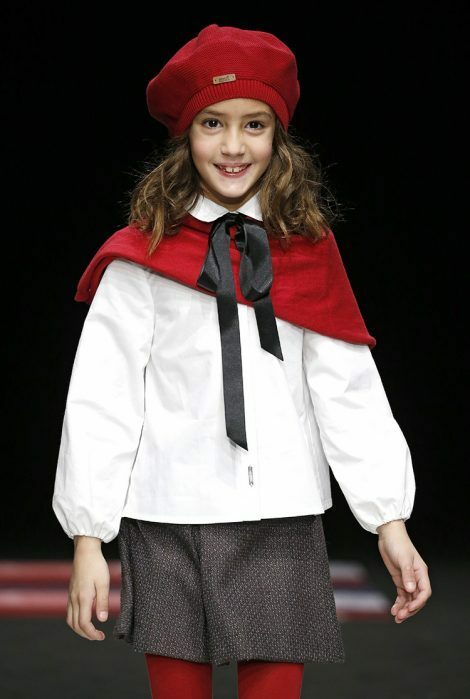 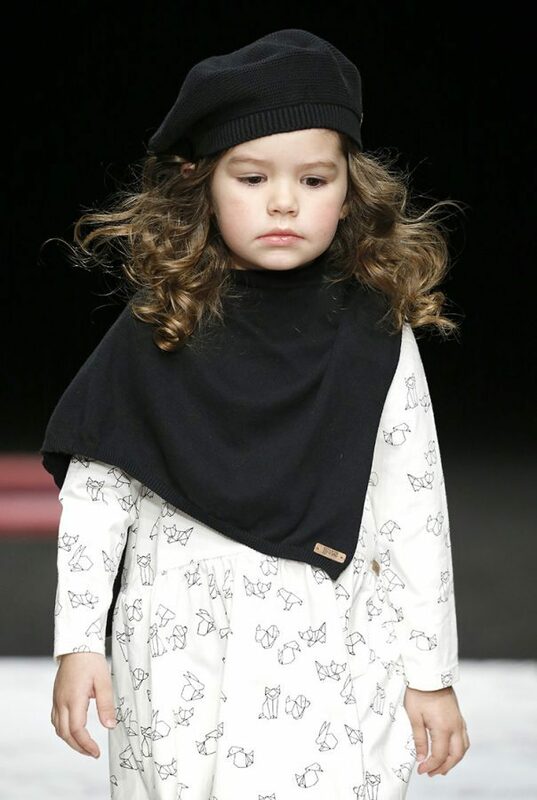 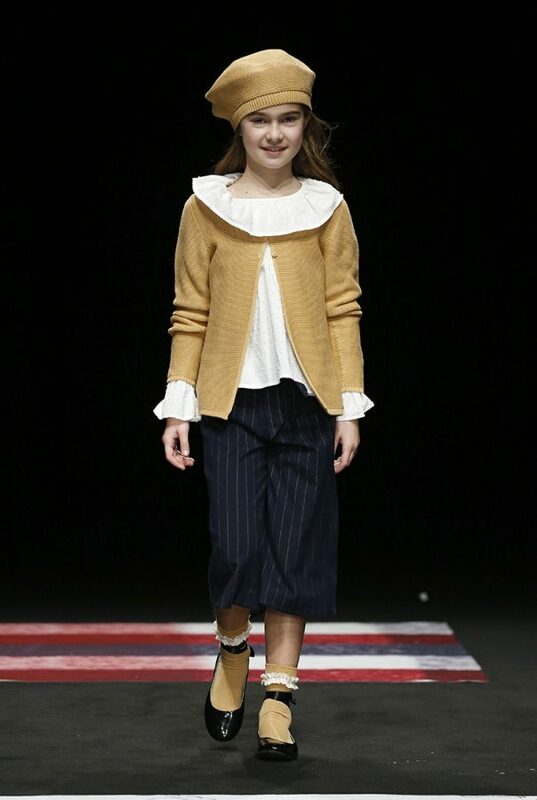 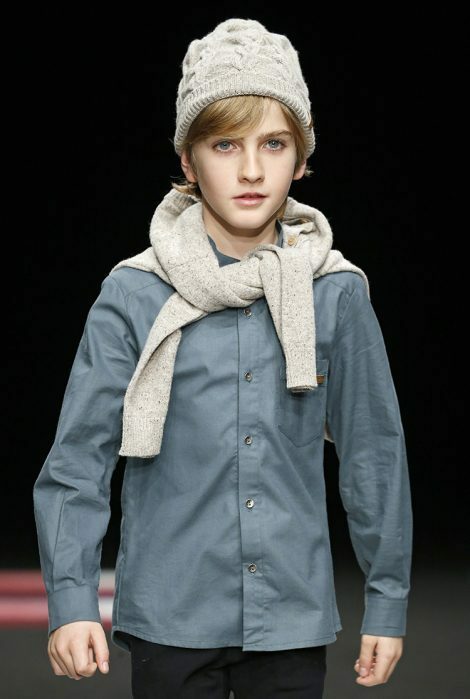 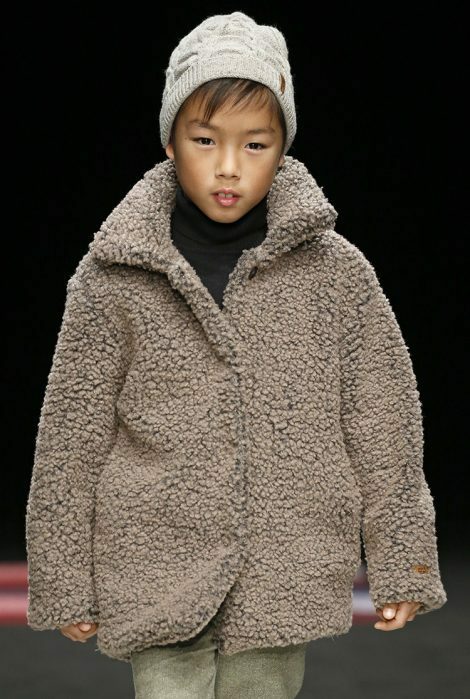 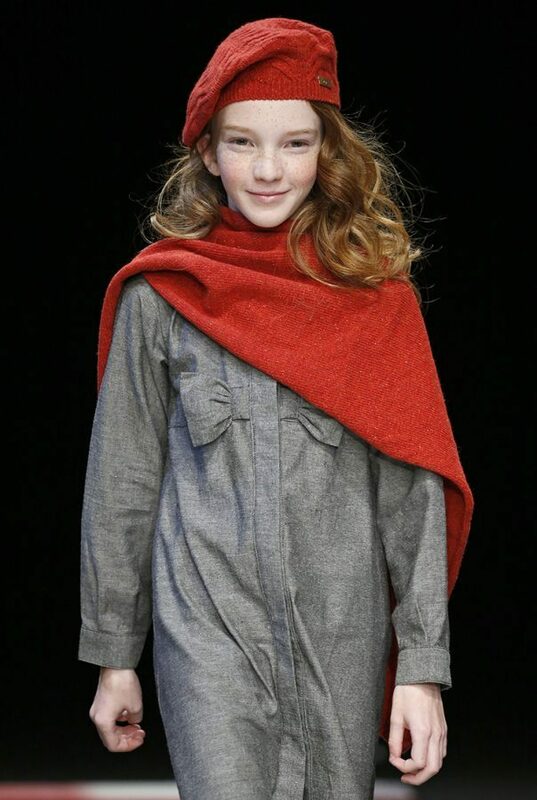 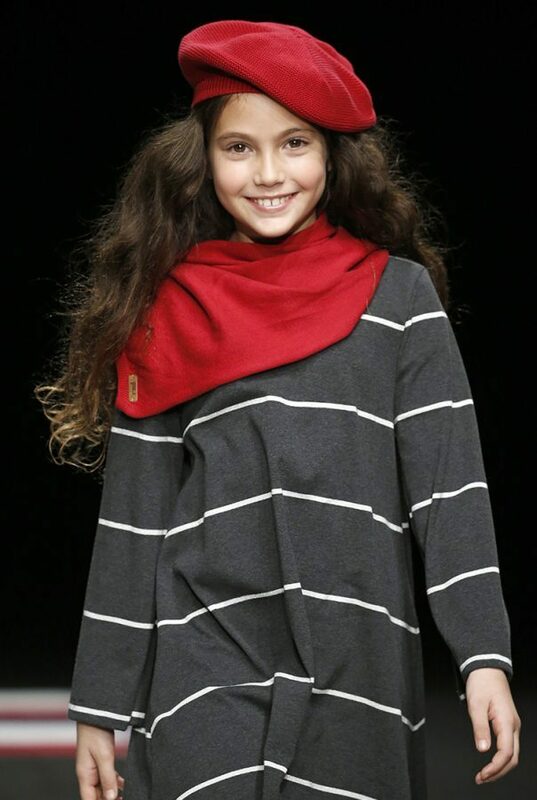 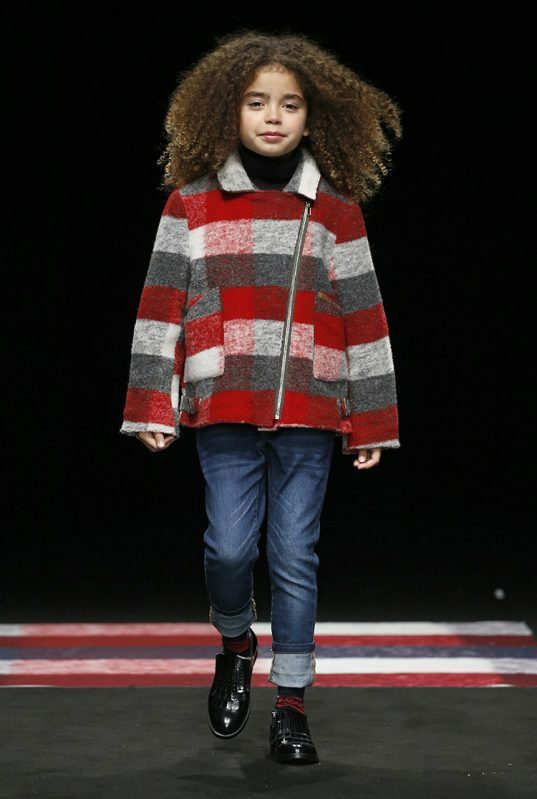 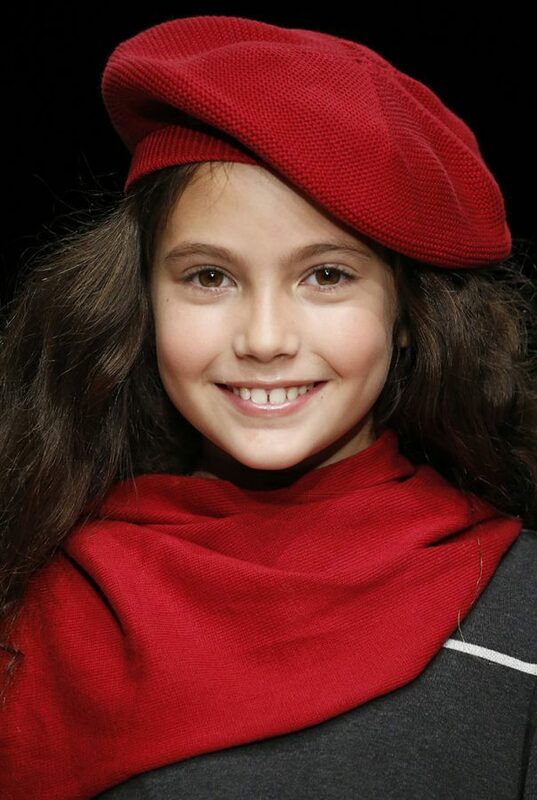 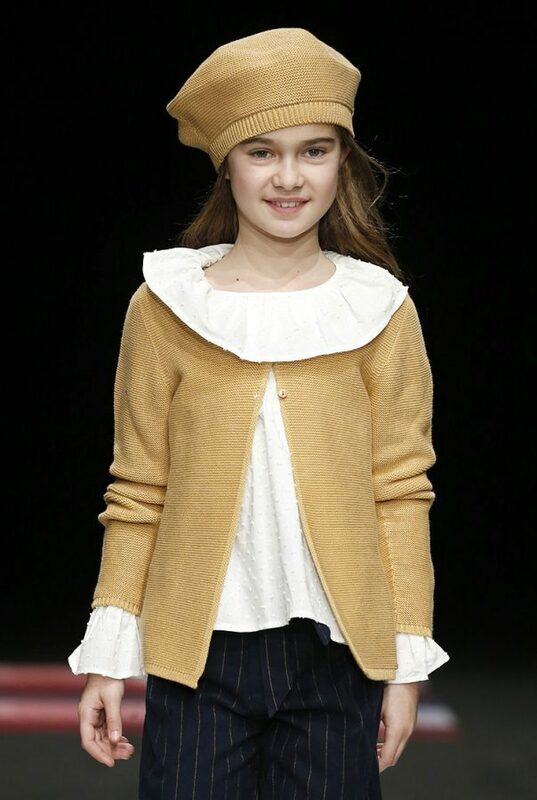 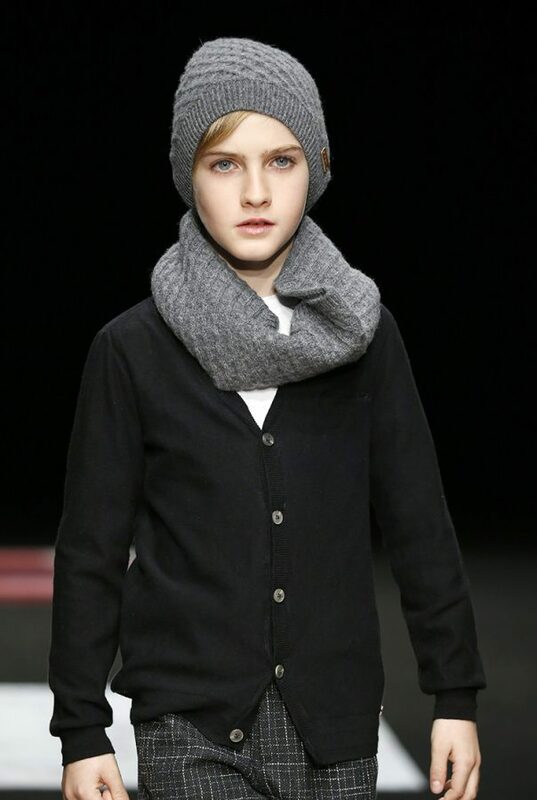 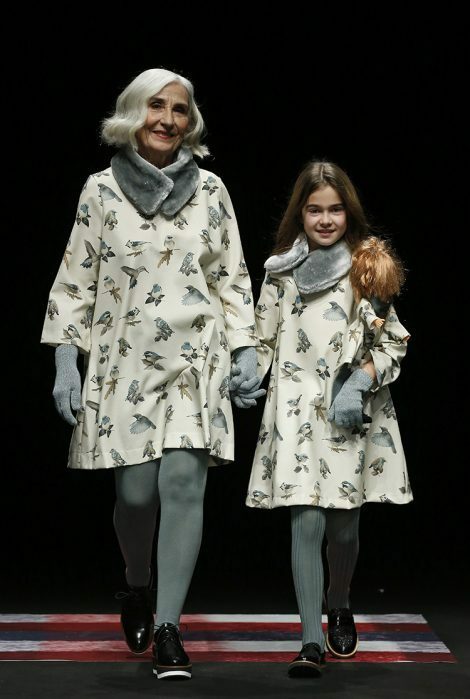 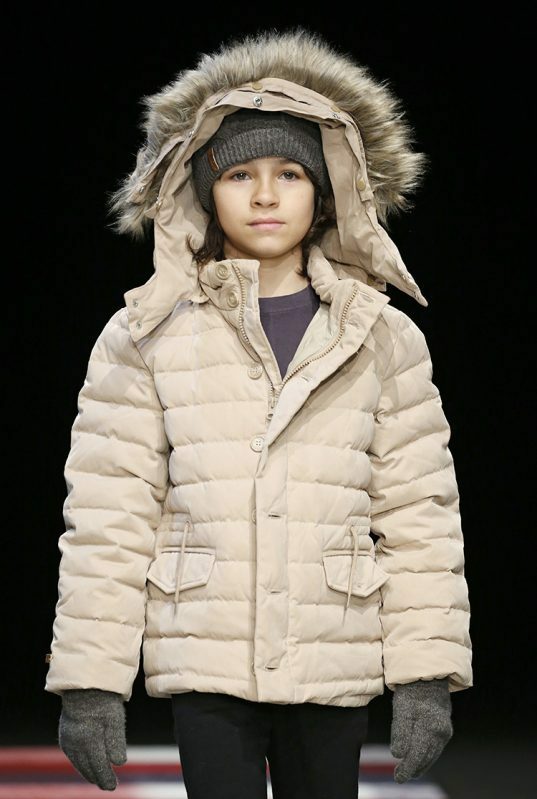 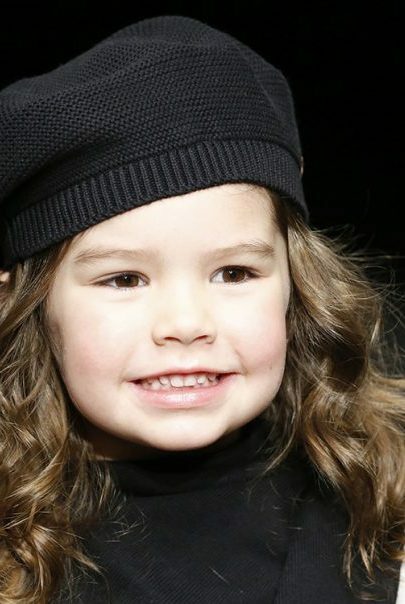 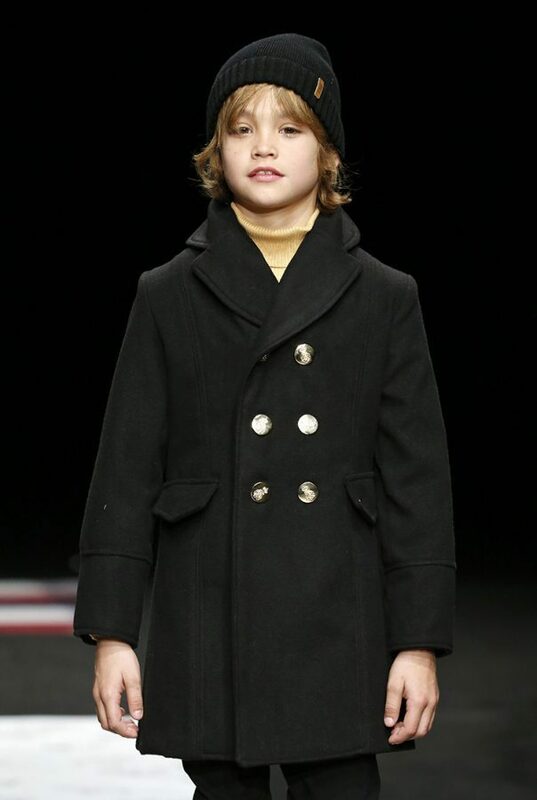 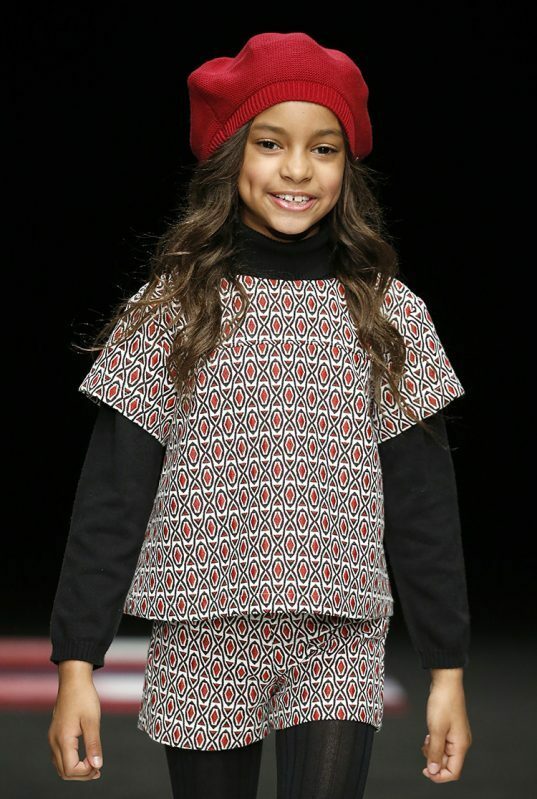 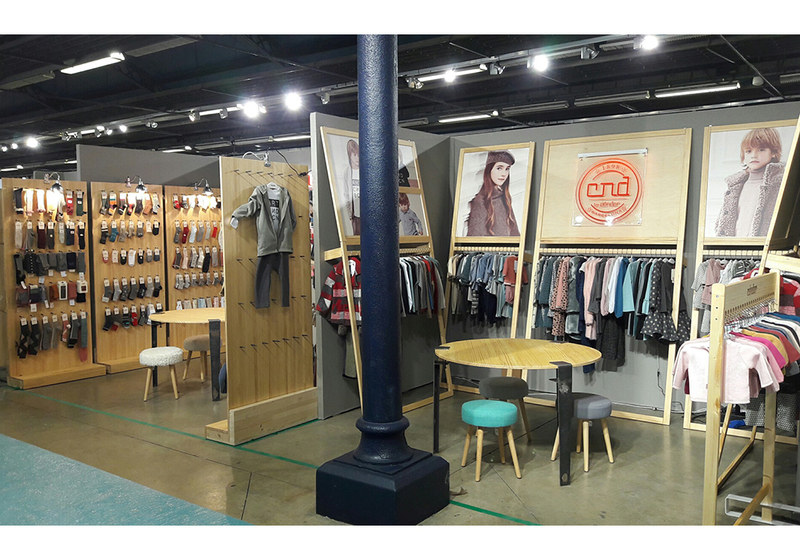 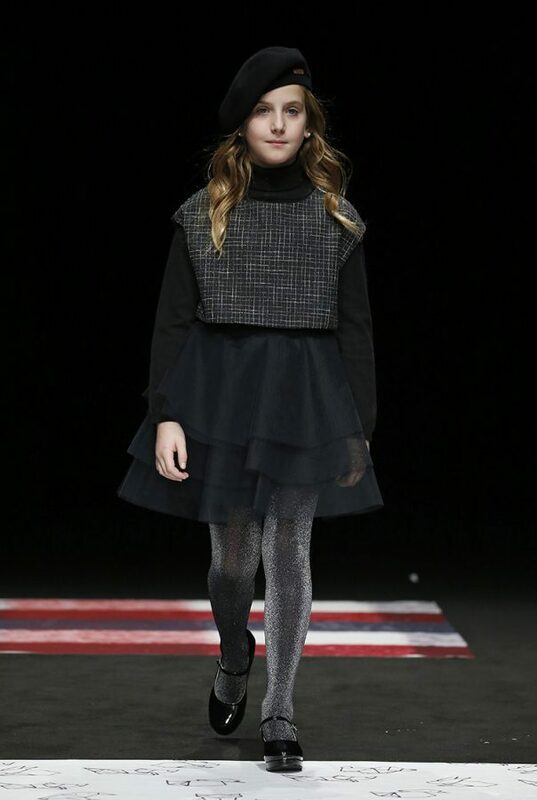 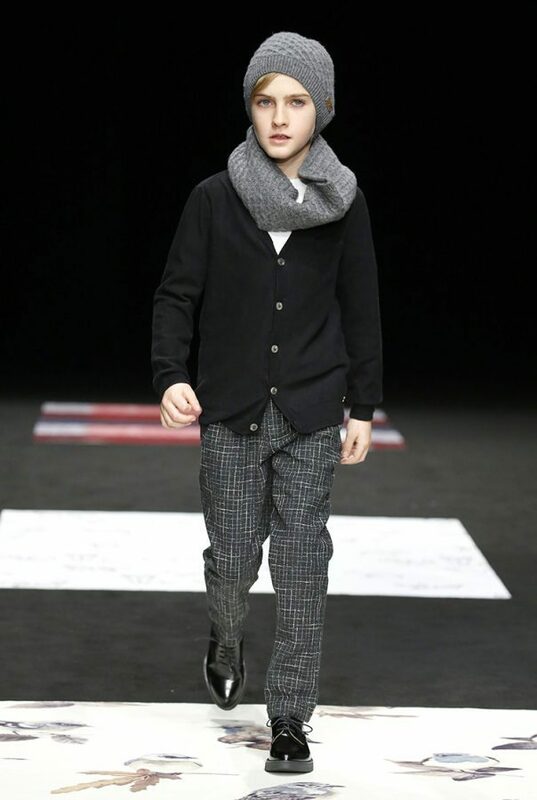 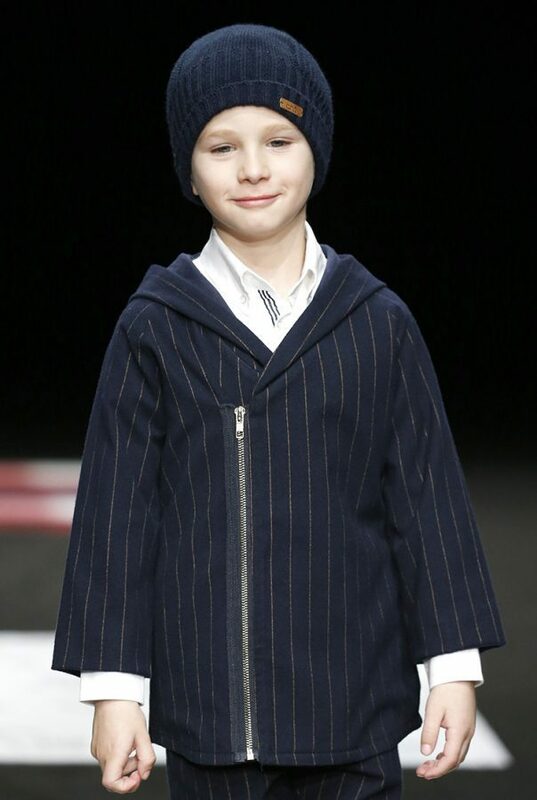 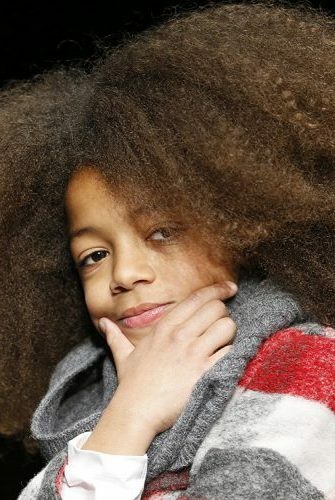 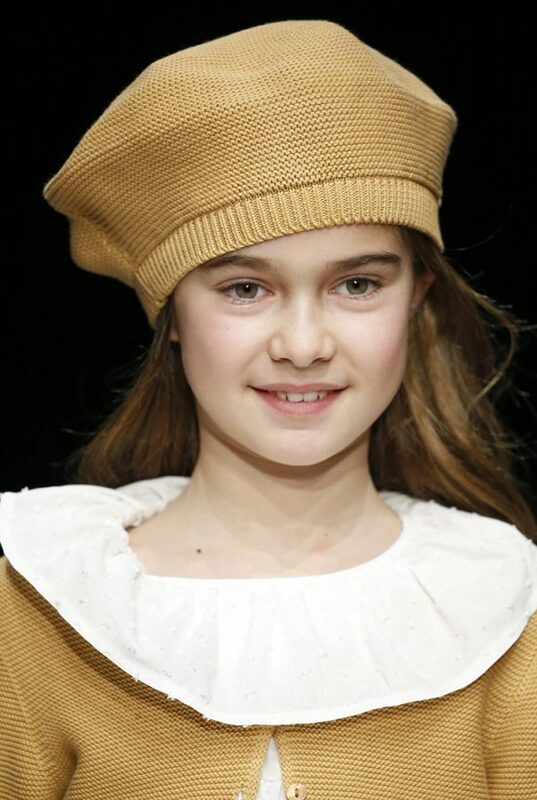 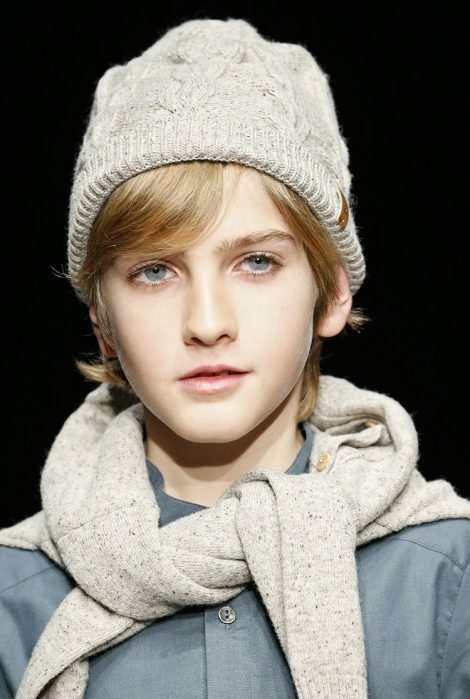 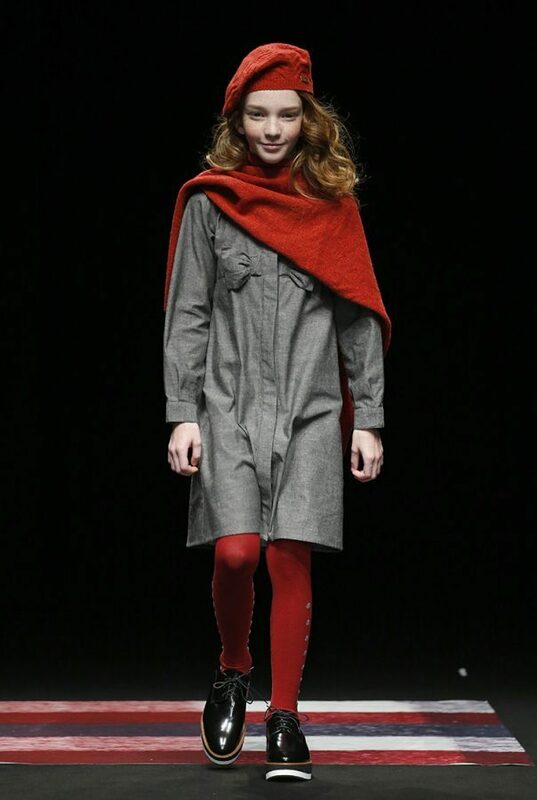 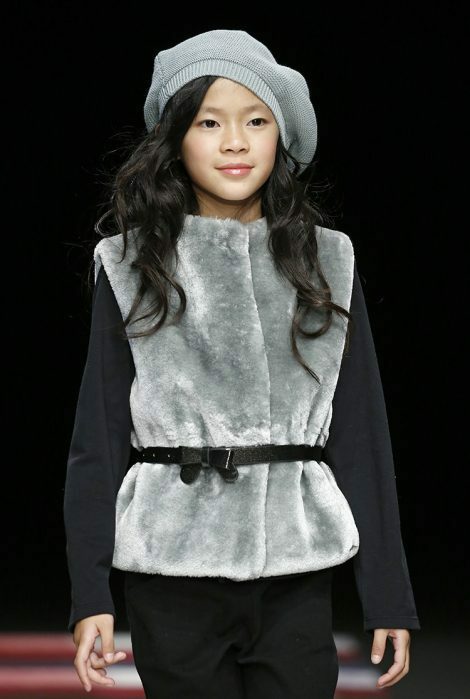 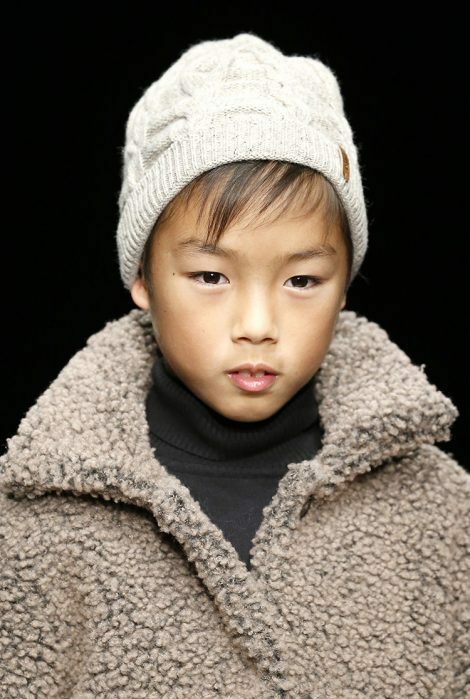 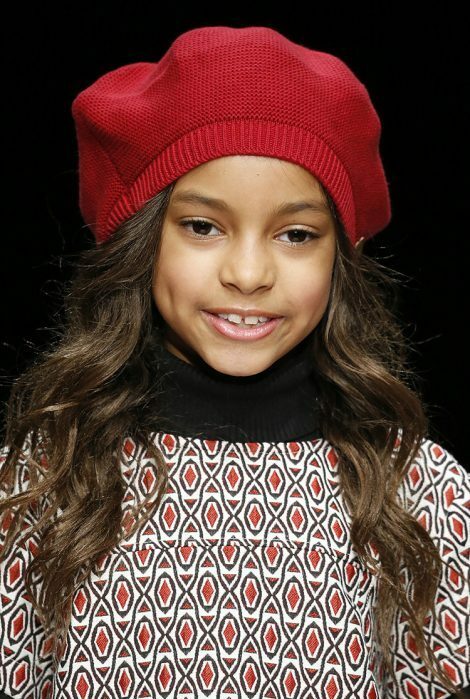 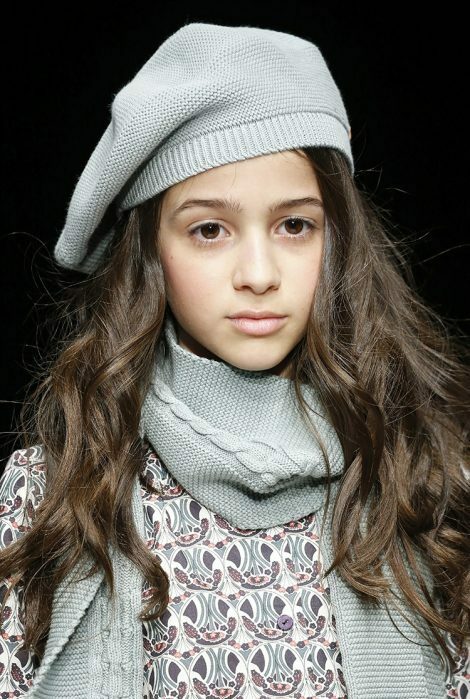 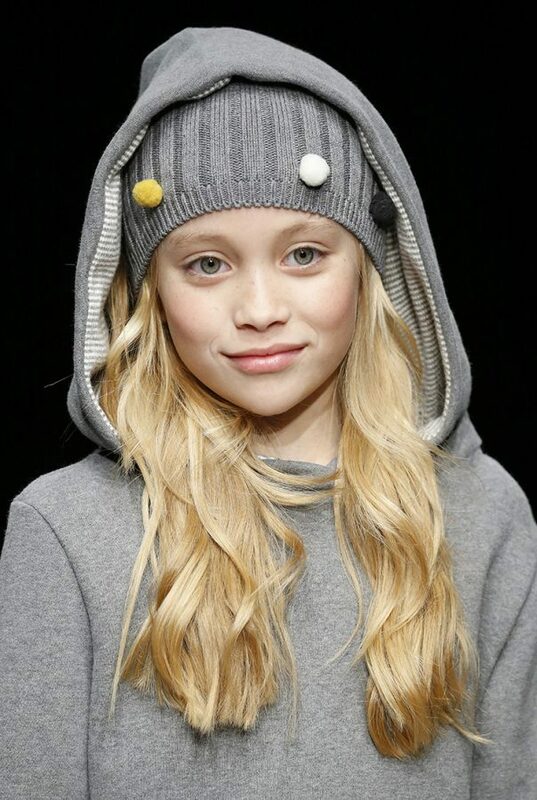 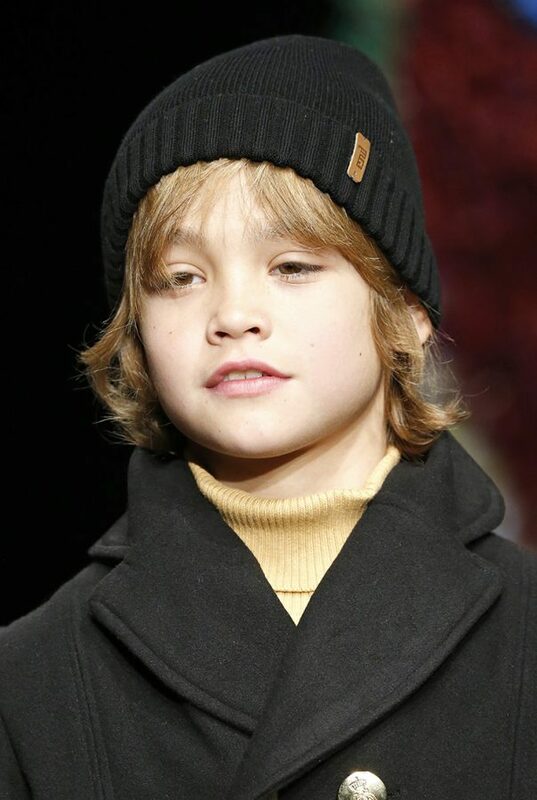 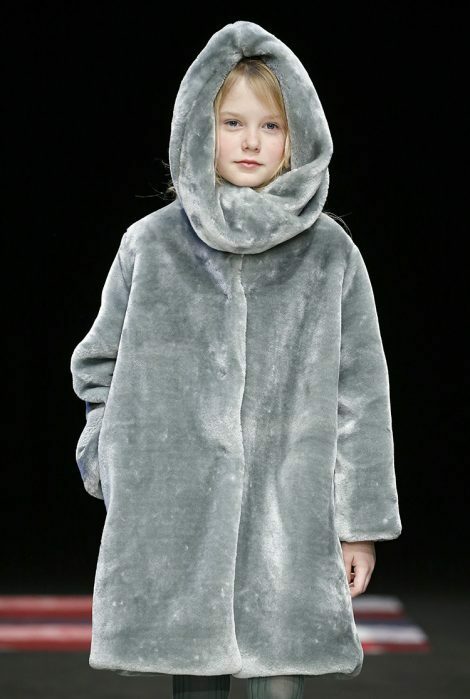 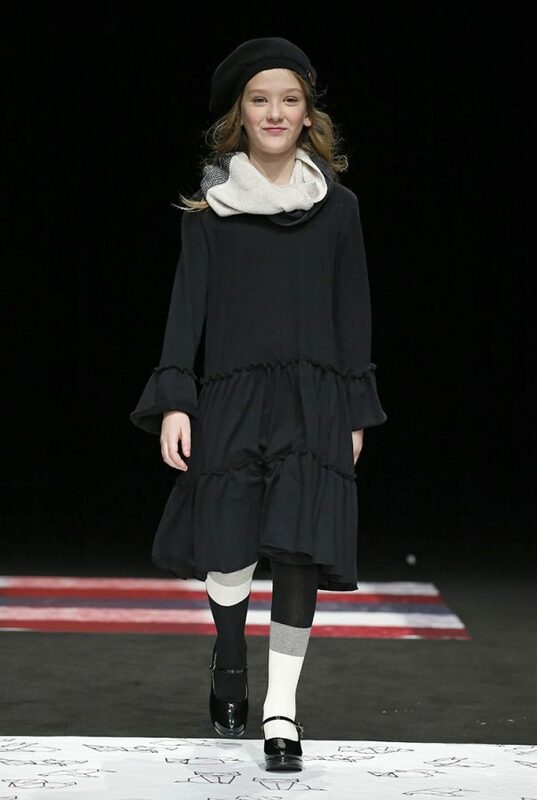 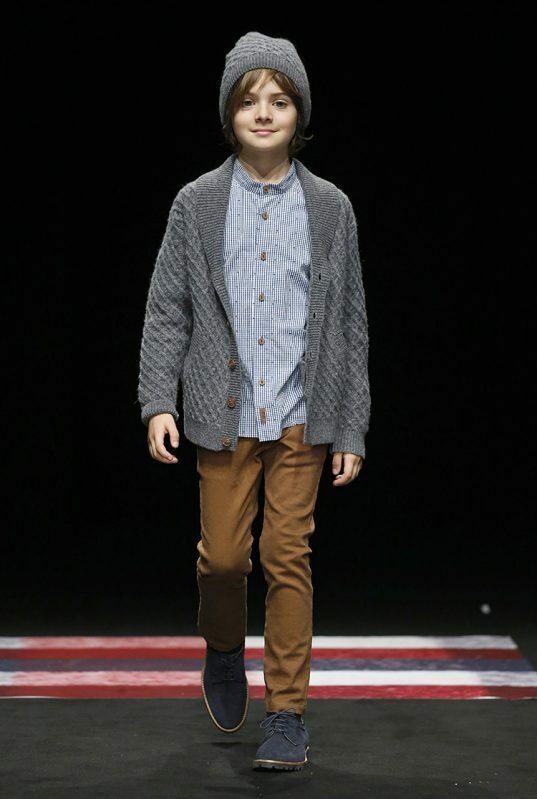 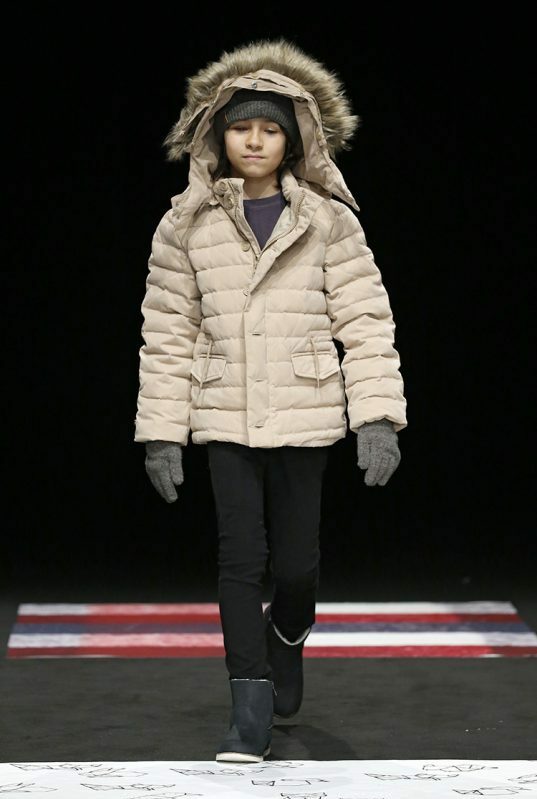 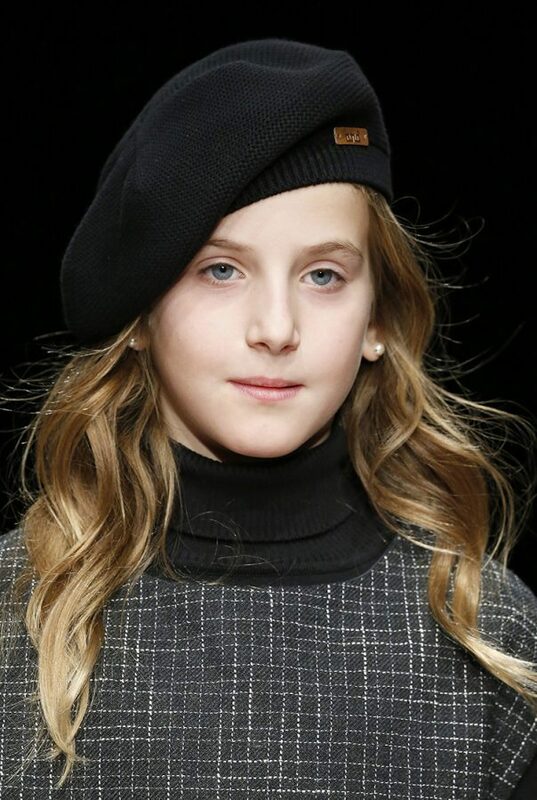 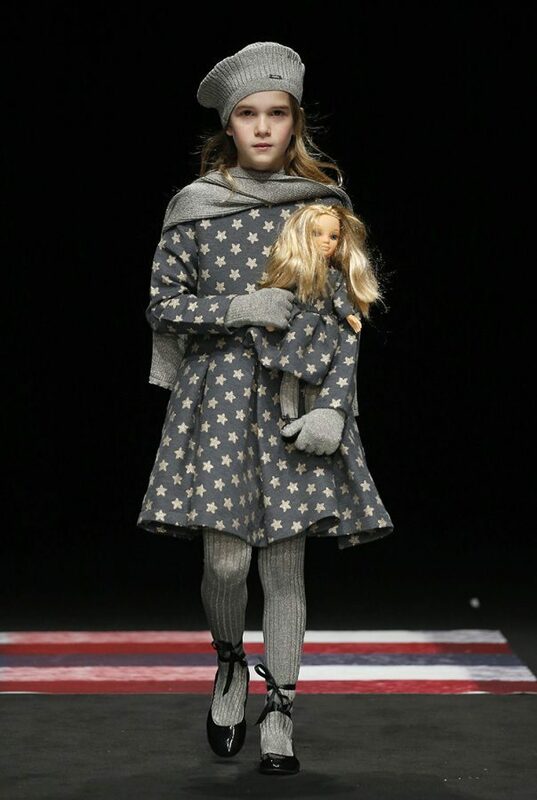 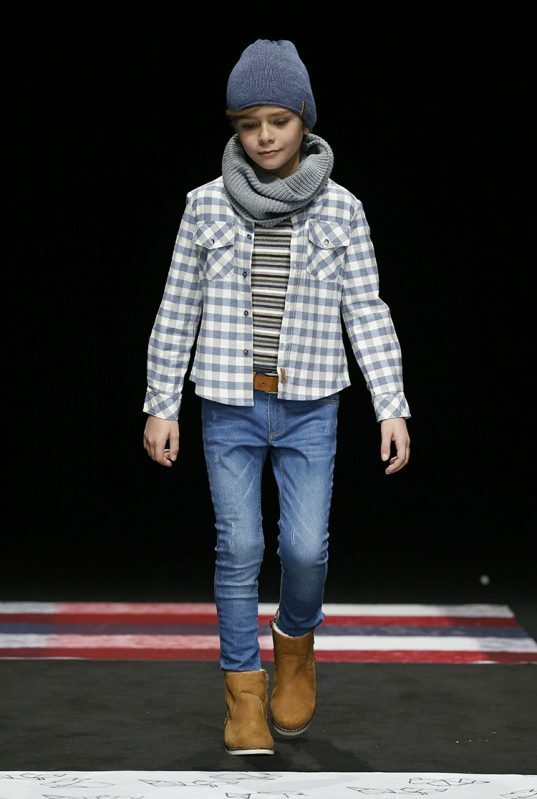 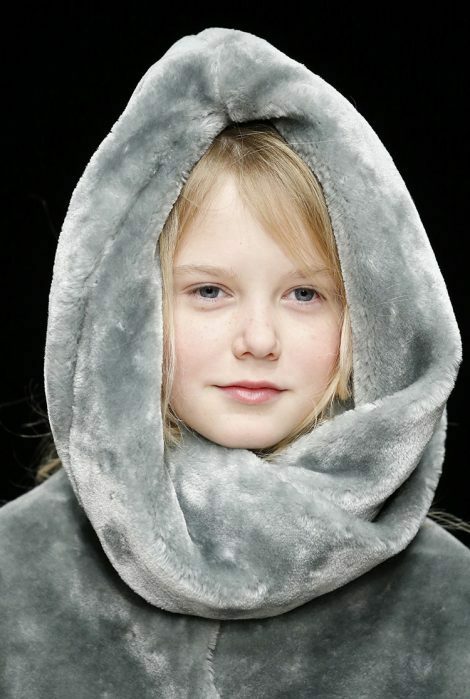 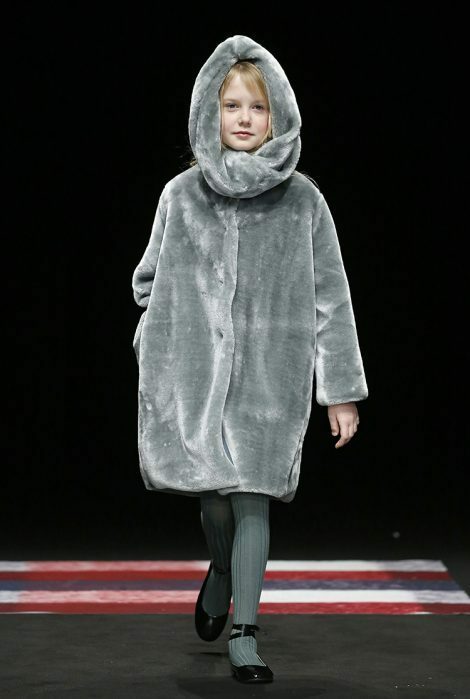 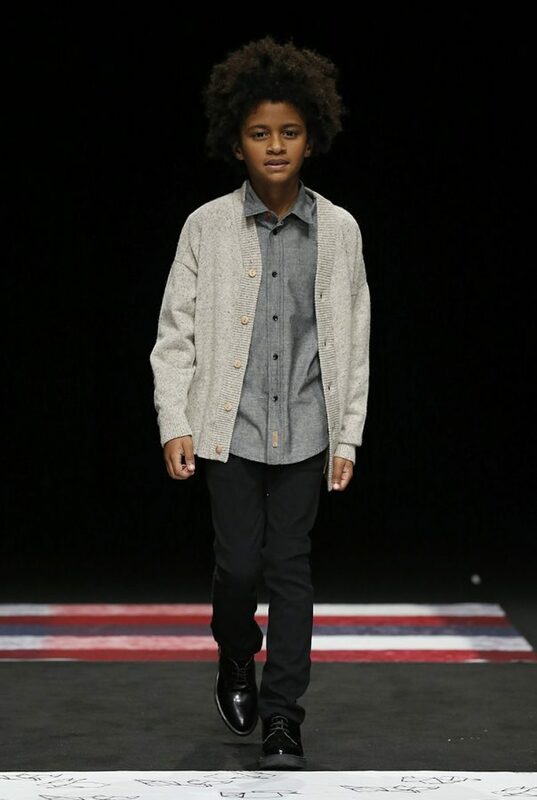 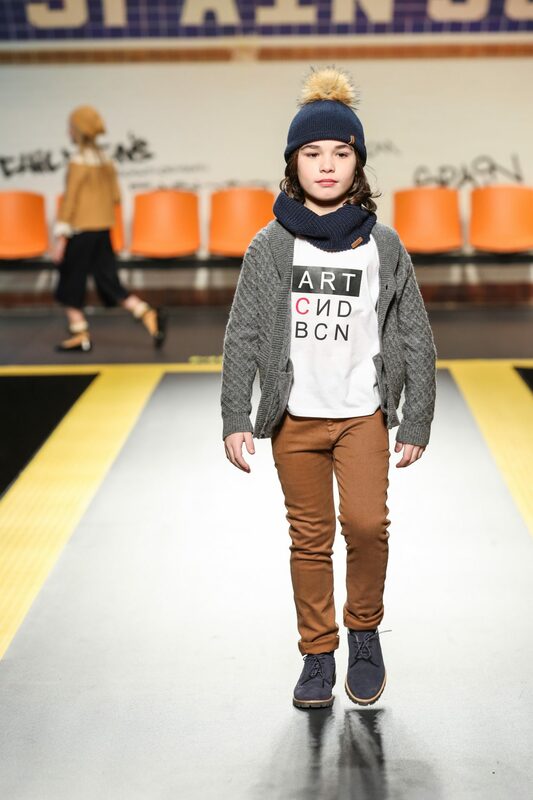 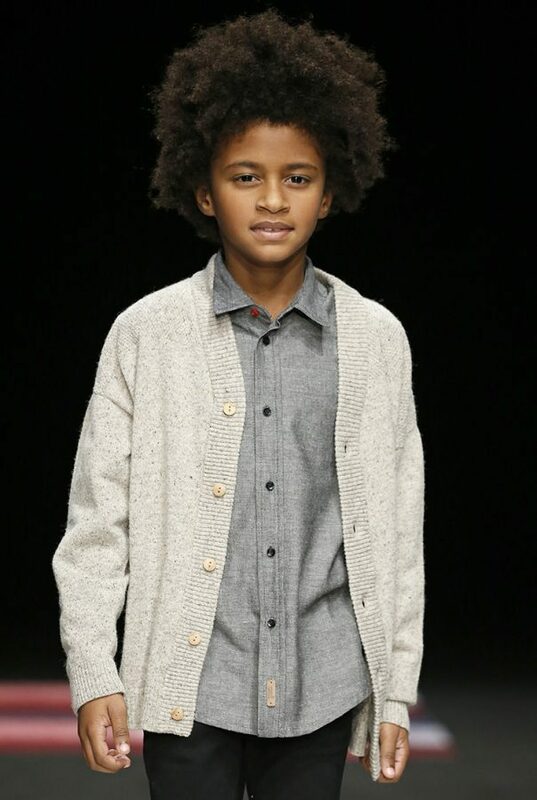 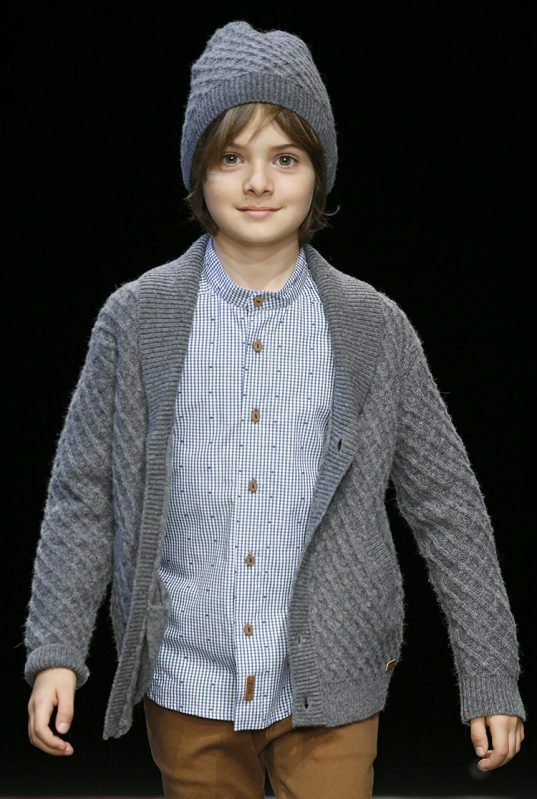 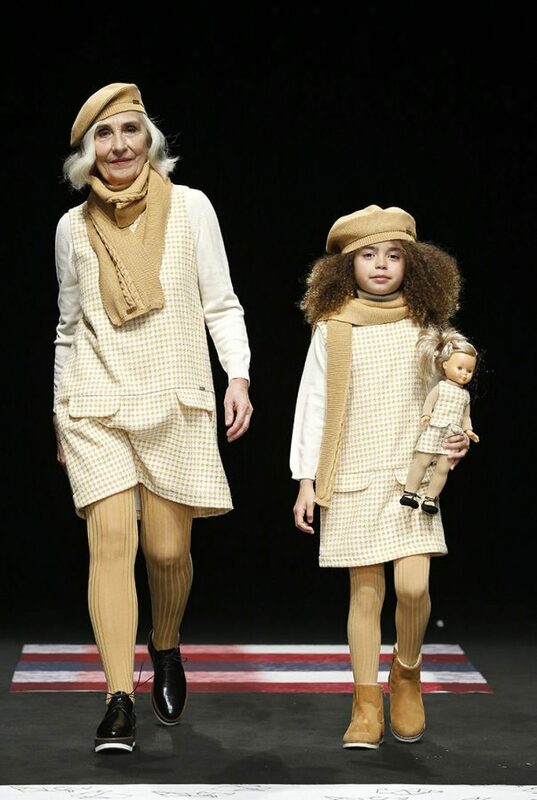 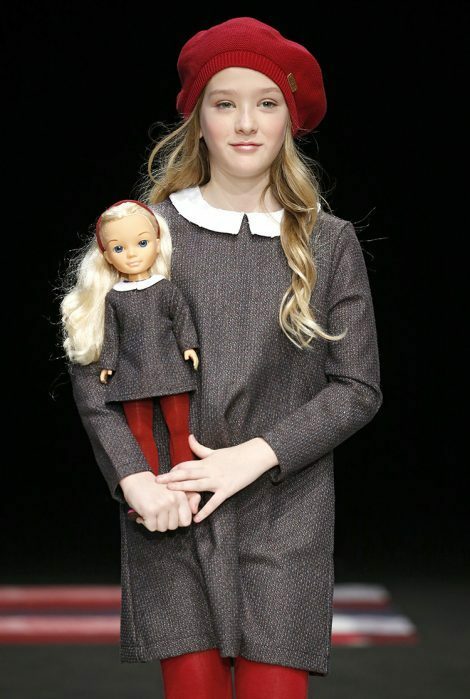 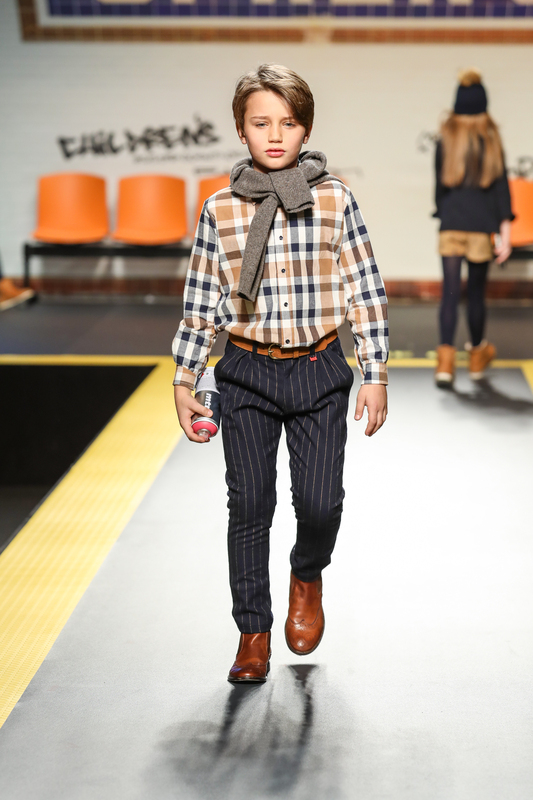 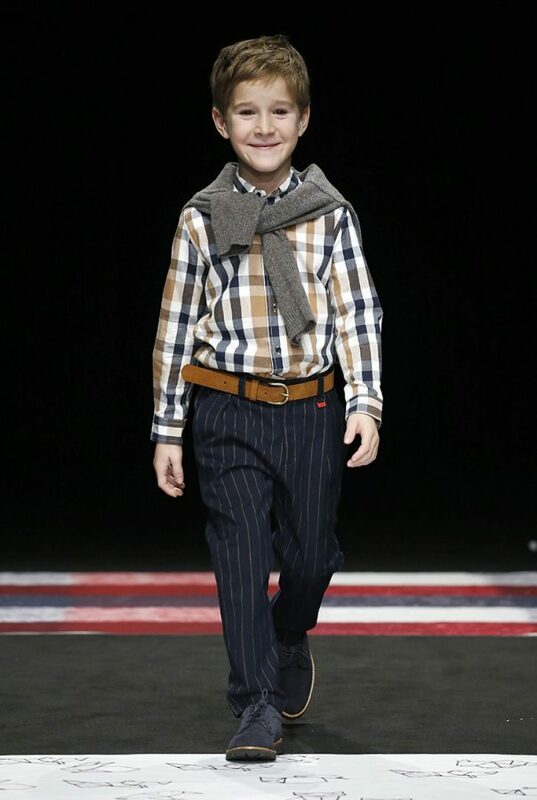 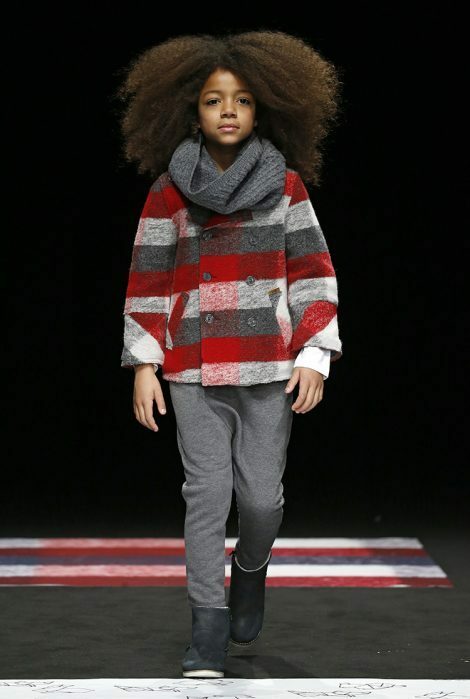 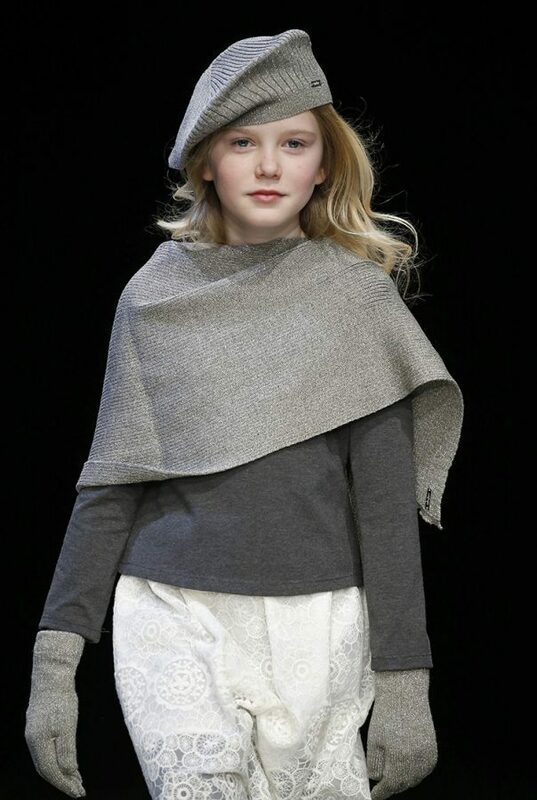 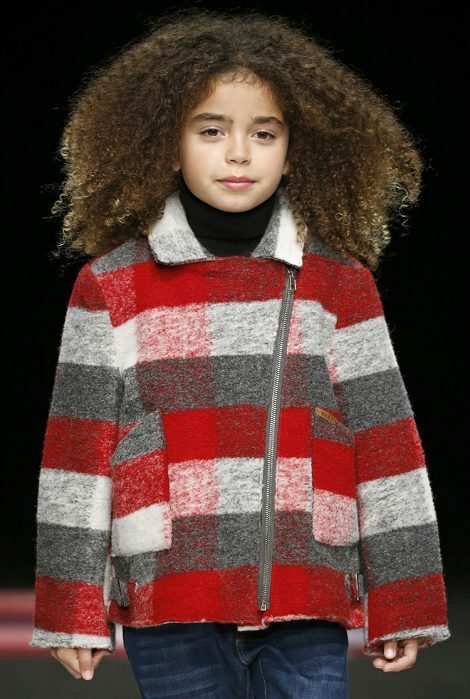 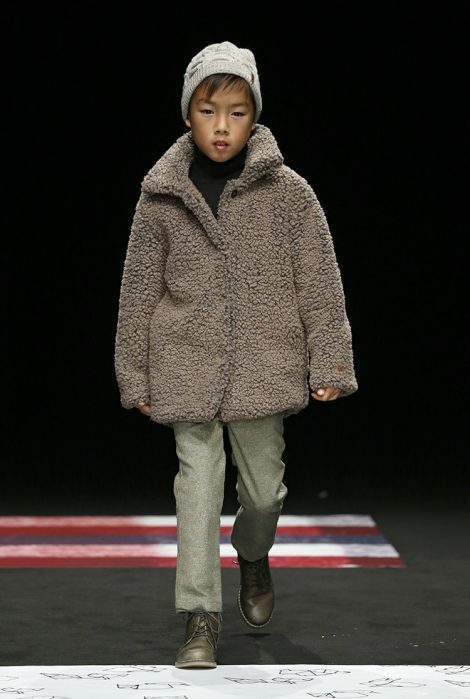 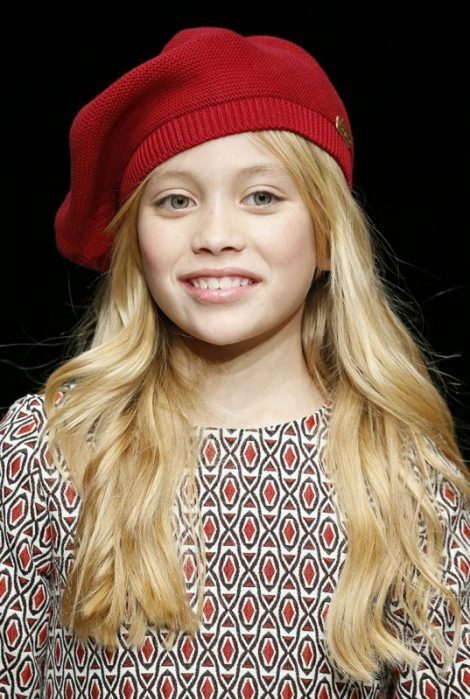 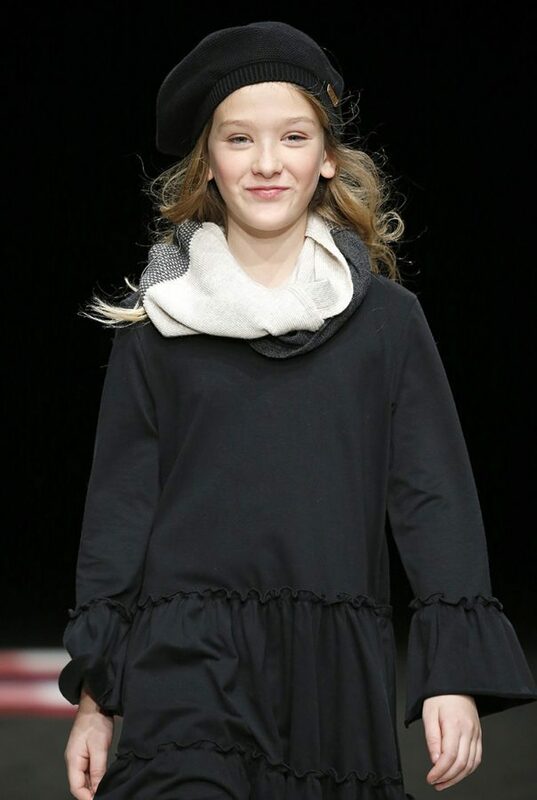 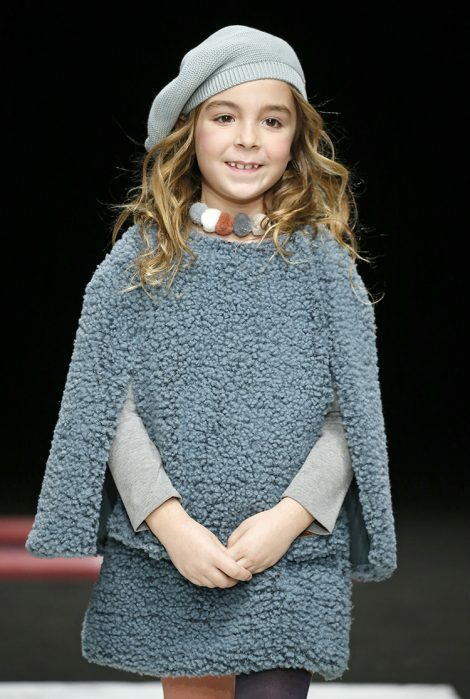 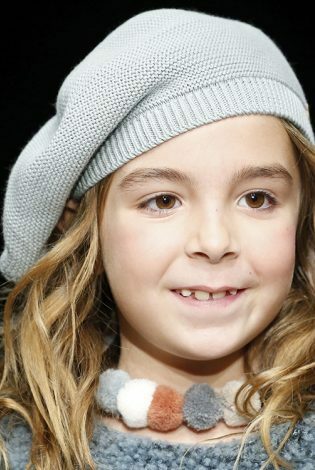 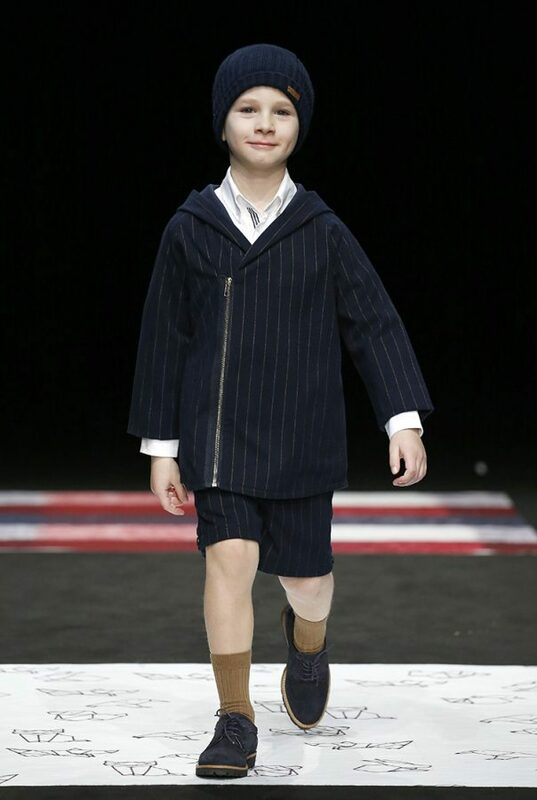 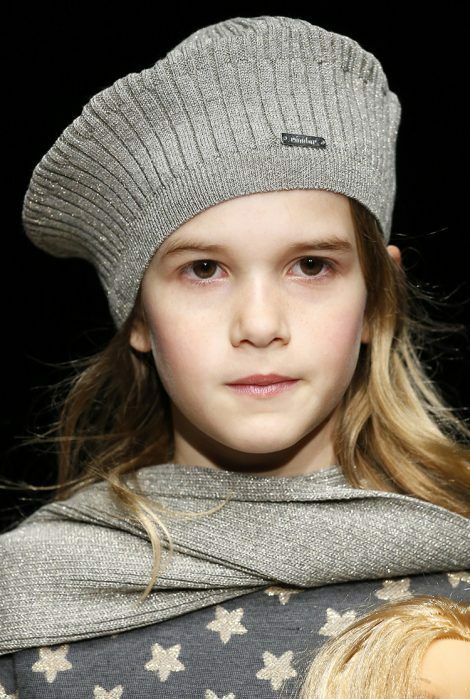 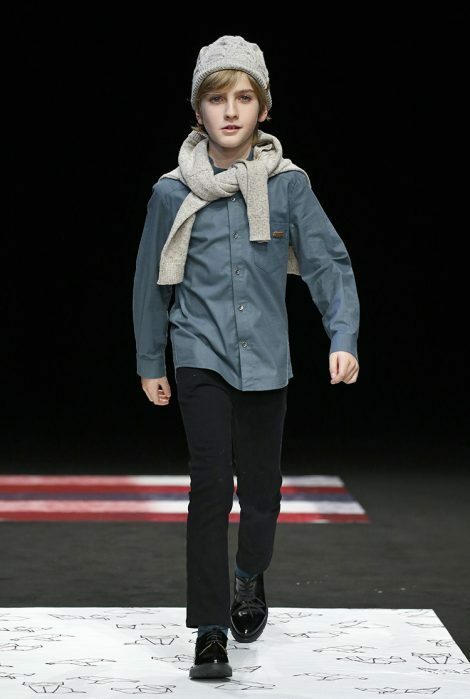 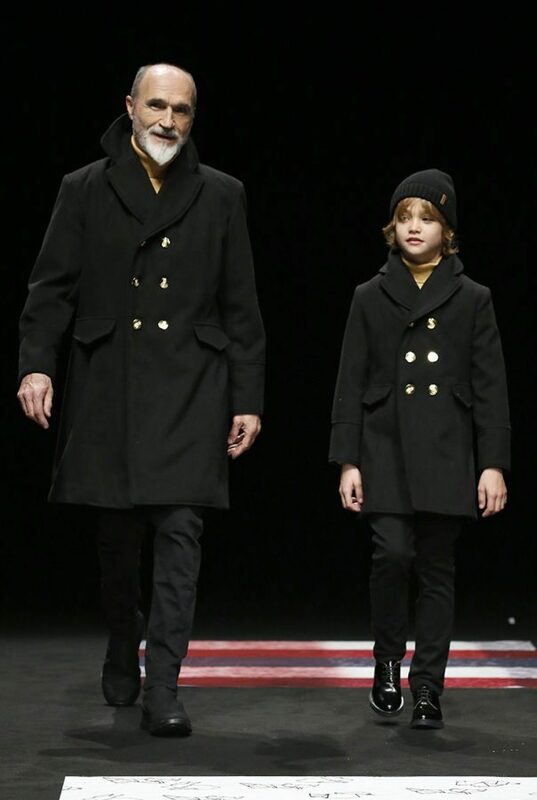 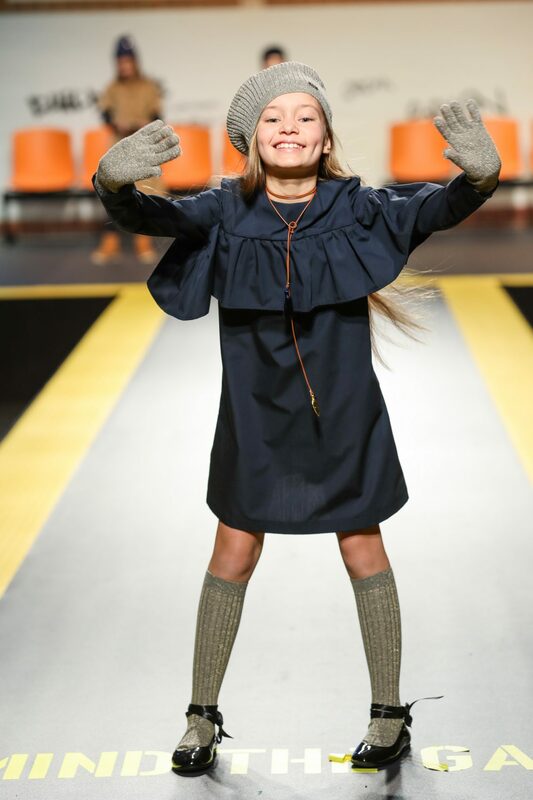 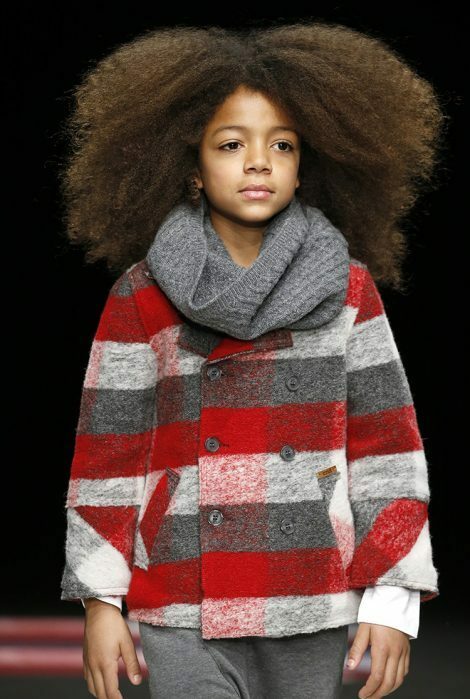 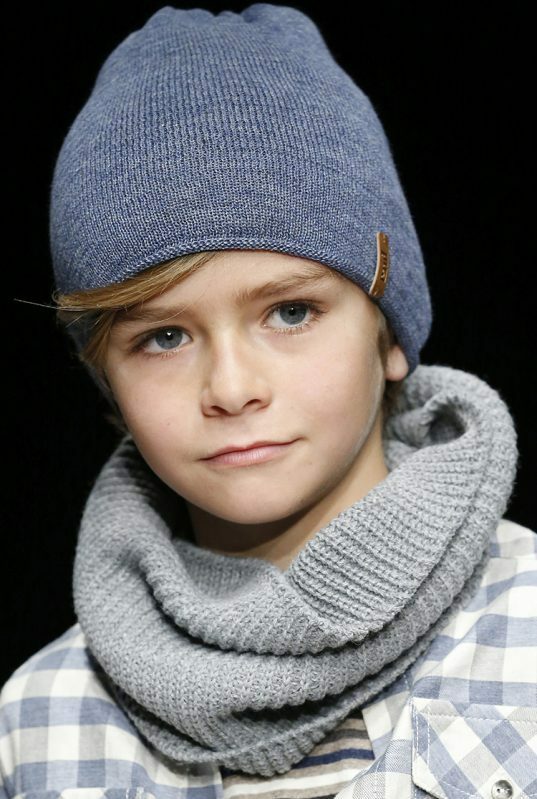 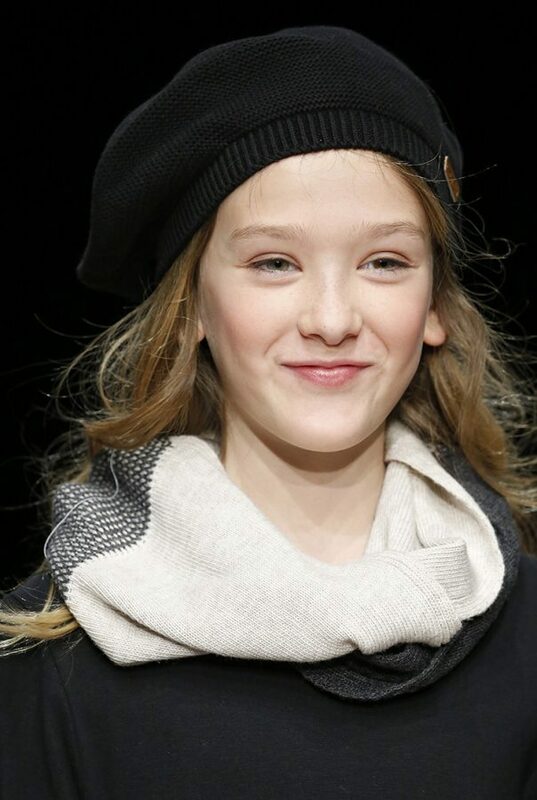 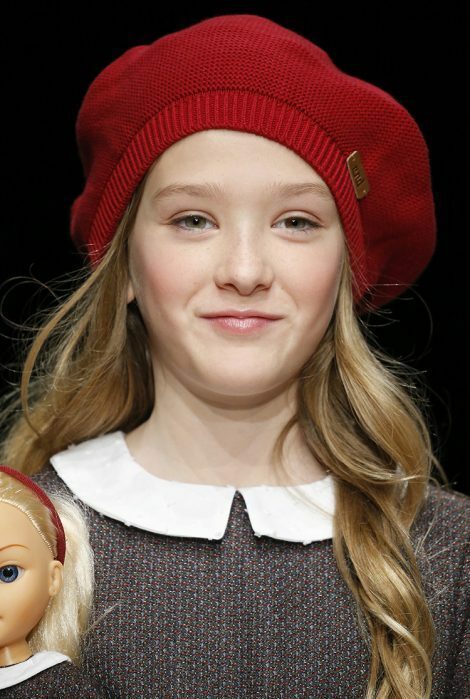 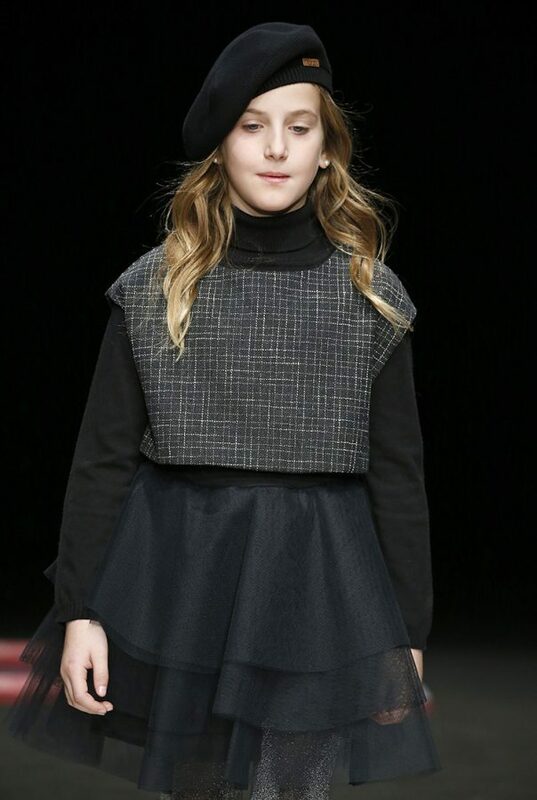 FLORENCE (19 JANUARY 2017).- CND by Cóndor has taken part in “Children’s Fashion from Spain” catwalk, held during Pitti Bimbo tradeshow in Florence. 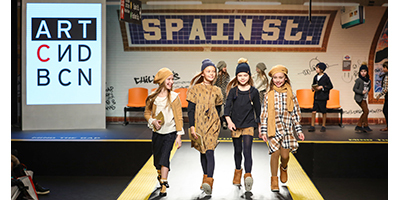 Under the name of “FASHION SQUARE”, the different catwalks take place in a colourful subway station. 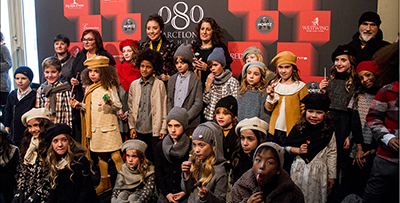 “Gold” is the collection selected by Cóndor to show during this event. 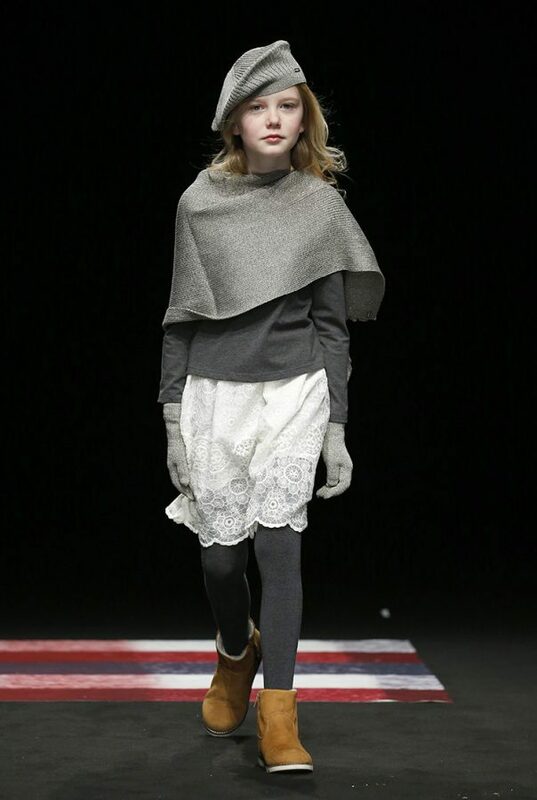 Dresses and skirts in grey anthracite with some lurex stars, combined with lace t-shirts. 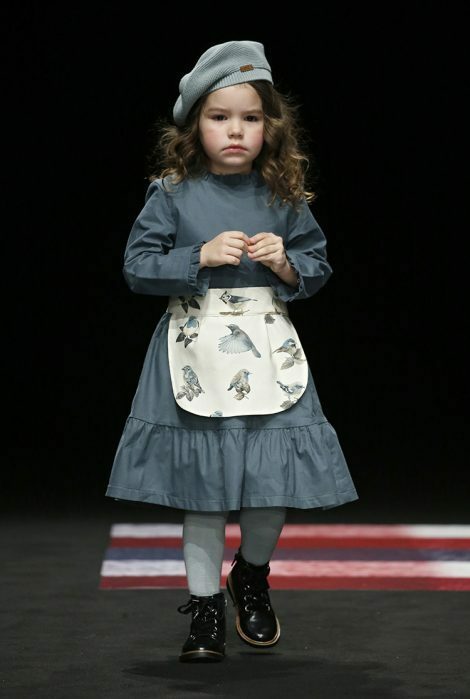 Flannel cardigans, trousers and pinafore dresses in navy with diplomatic stripes. 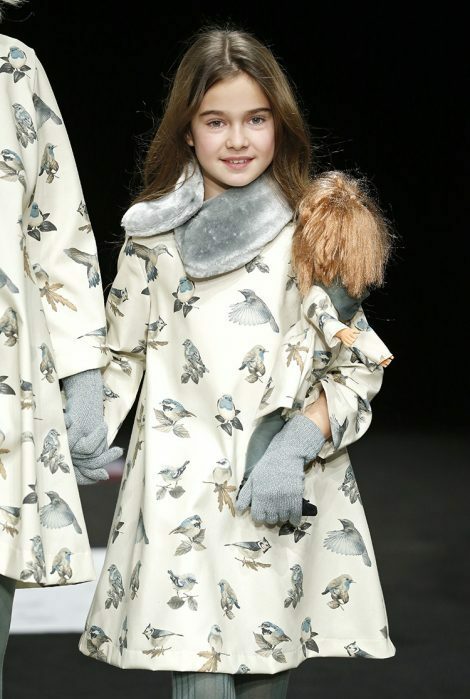 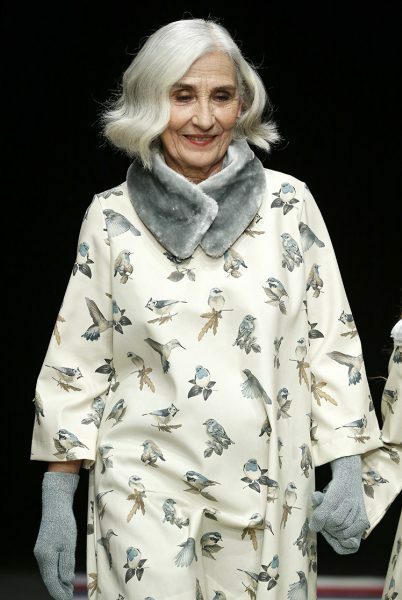 Camel dresses and shorts with feather print go with navy t-shirts and tights. 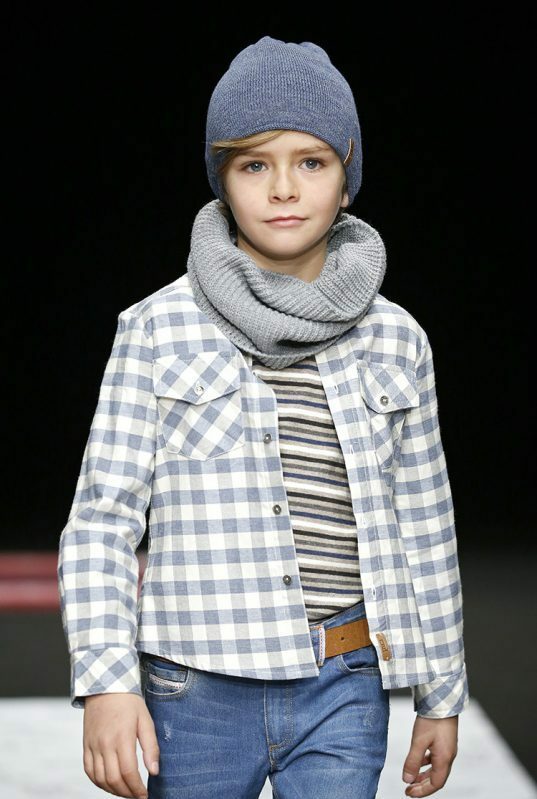 Large toffee check print dresses and shirts. 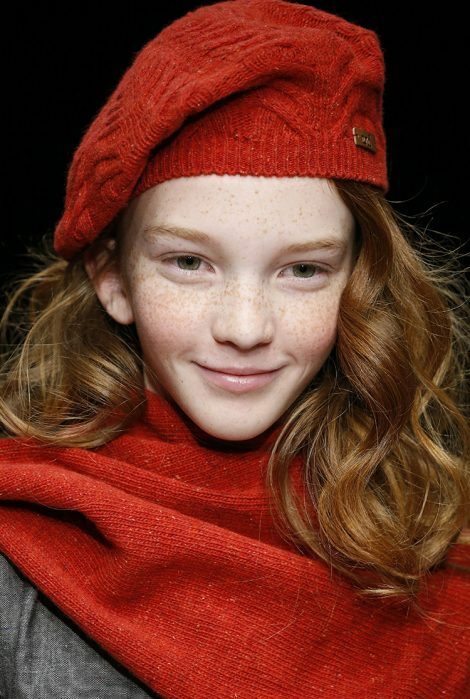 And all this, enhanced with bonnets, knit hats, gloves and scarves, socks and tights. 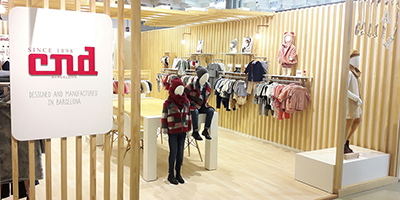 NEW YORK (8-10 JANUARY 2017).- Children’s Club NY, international childrenswear trade show located in NY, is considered by the brand Cóndor as a huge opportunity to show the new collections to clients and potential buyers from the East Coast, such as Department Stores better children’s specialty retailers and boutiques. 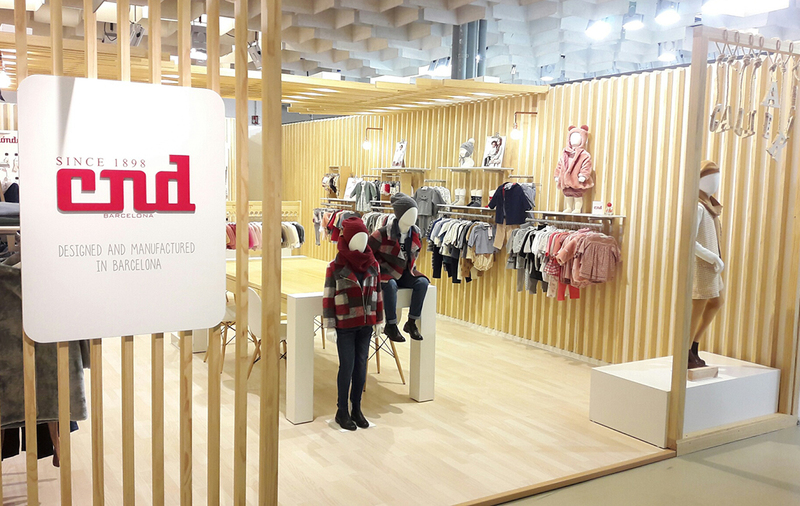 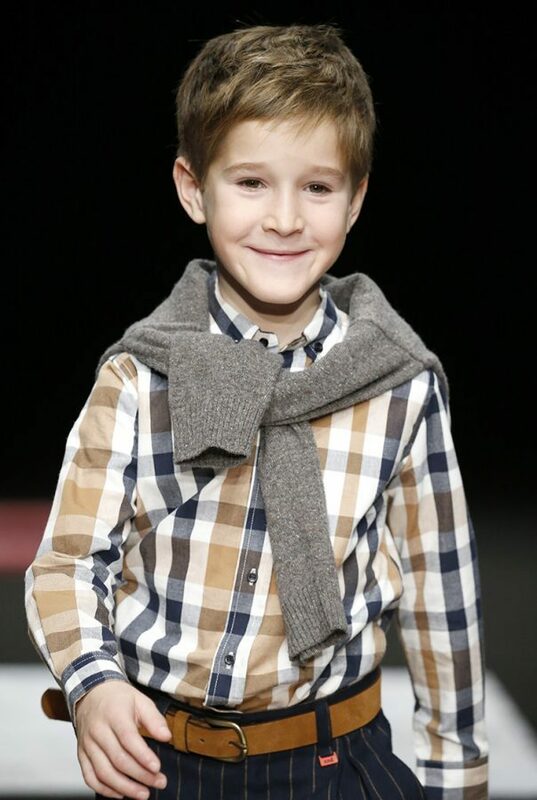 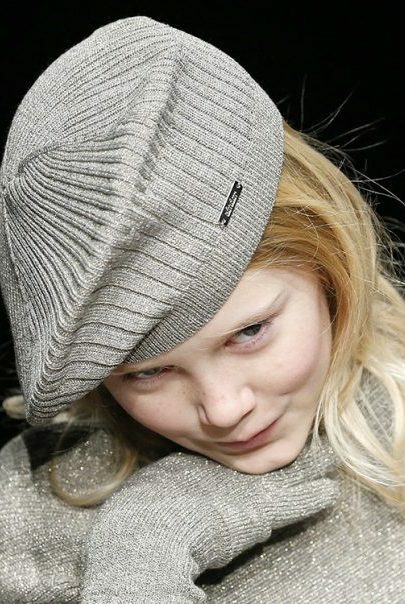 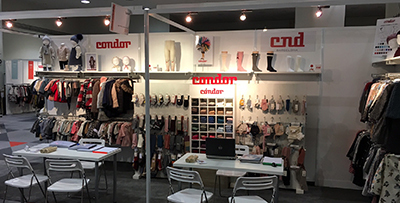 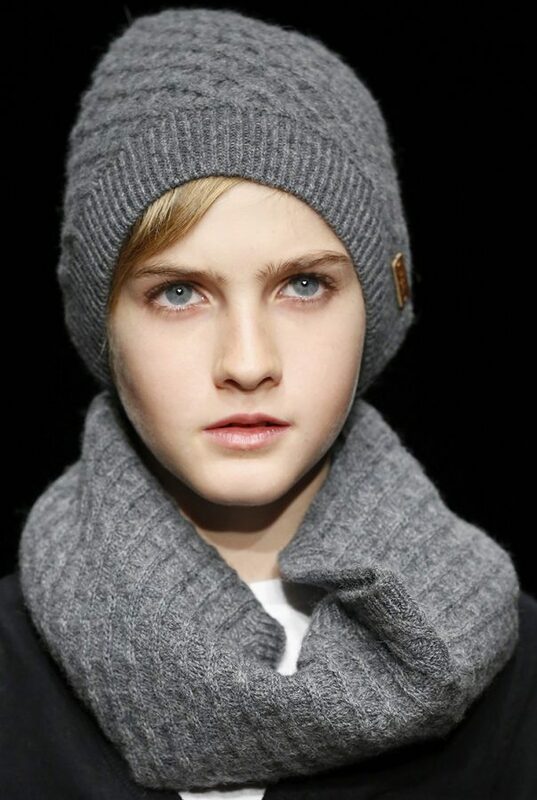 BARCELONA (01 DEC 2016).- Cóndor continues to bet strongly on the international expansion of the brand by attending the main children’s fashion fairs. 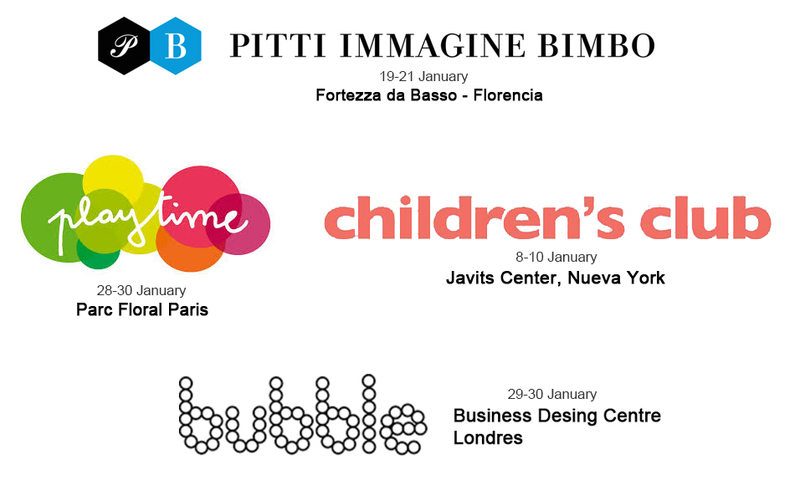 “Art Gallery” , the new F/W17 collection will be showed at following trade shows: Bubble London, Children’s Club New York, Pitti Bimbo Florence and Playtime Paris, among others. 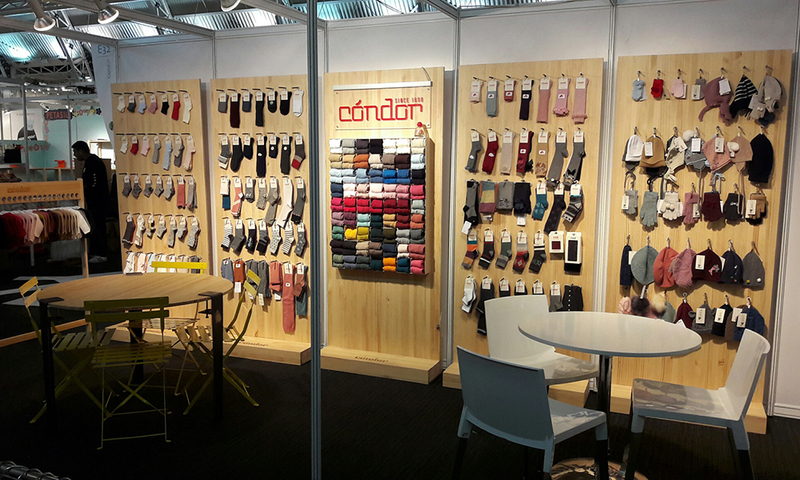 Cóndor is nowadays an international company that distributes to more than 30 countries through its own stores and franchises, department stores and multibrand boutiques.